FC United of Manchester and Kent Football United won their respective divisions, while there were cup final victories for Leafield Athletic, Redditch United and Sutton Coldfield Town. PREMIER – League leaders Billericay Town have been left with a very nervous wait to see if they have done enough to be champions, after losing their last game to a Gemma Croucher goal at Royston Town. Acle United are the team that can deny them the title after their latest win, 2-0 at Colney Heath, thanks to goals by Laura Holden and Amber Rowland. The Norfolk side must win at second-placed Cambridge City on Wednesday and at home to AFC Dunstable on Sunday to match Billericay’s points tally but also add at least eight to their goal-difference in the process. 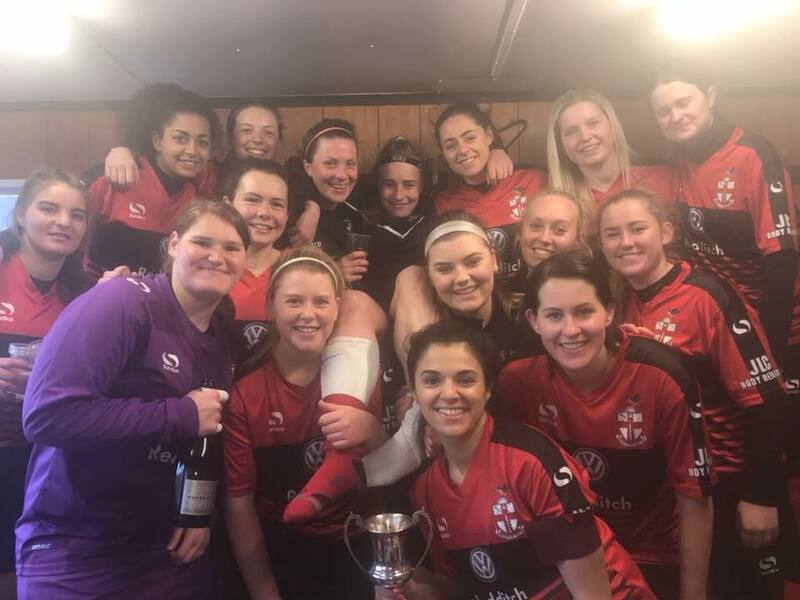 1 NORTH – Winners Wymondham Town completed an unbeaten league season with a 4-3 result at Histon, where Hannah Waters weighed in with a double. 1 SOUTH – There were five different scorers in Little Thurrock Dynamos’s 5-0 defeat of Bishops Stortford, Hoddesdon Town Owls went fourth with a similar scoreline at Hertford Town where there was a 16-minute hat-trick for Kristina Oconnell, while Stevenage Reserves had a walkover against Hutton. 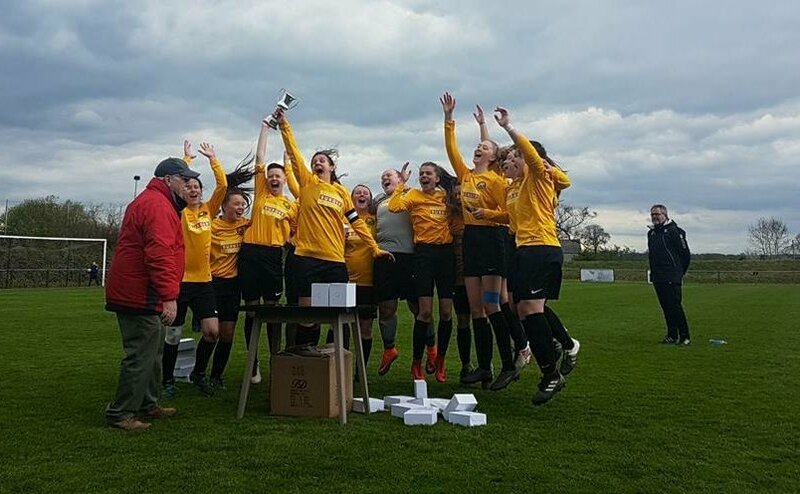 PREMIER – Nettleham won the top of the table clash at Oughtibridge 2-0 with goals by Francesca Wilson and Tia Johnson, Peterborough Northern Star went level on points with the second-placed side when putting six past Rise Park, where Katie Steward and Paige Jones both got braces. Emma Bradshaw’s two goals helped Eastwood edge Ollerton Town 3-2 and Bronwen King got the only goal to give Loughborough Students the points at Kettering Town. 1 NORTH – Woodlands only need two points from three games to seal the championship, after thrashing Teversal 13-0 away with an amazing ten-goal haul for Jody Scott. Calverton’s bid is over after Natalie Aird got the only goal for visiting Grimsby Borough and Lincoln Moorlands Railway’s hopes were badly damaged by the 2-1 home reverse to Arnold Town DS. 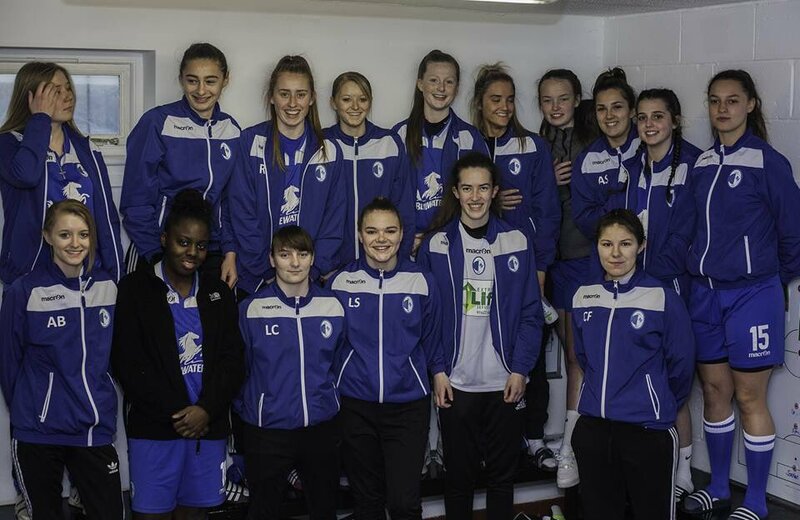 1 SOUTH – Peterborough United extended their lead over challengers Oadby & Wigston with a 5-1 midweek win at Corby S&L, where Amy Challis got a couple. Elise Baxter’s brace aided Heather’s 3-2 win over Loughborough Foxes Vixens and Thrapston Town defeated Desford 7-2. Kent Football United won the South East Counties Premier Division. 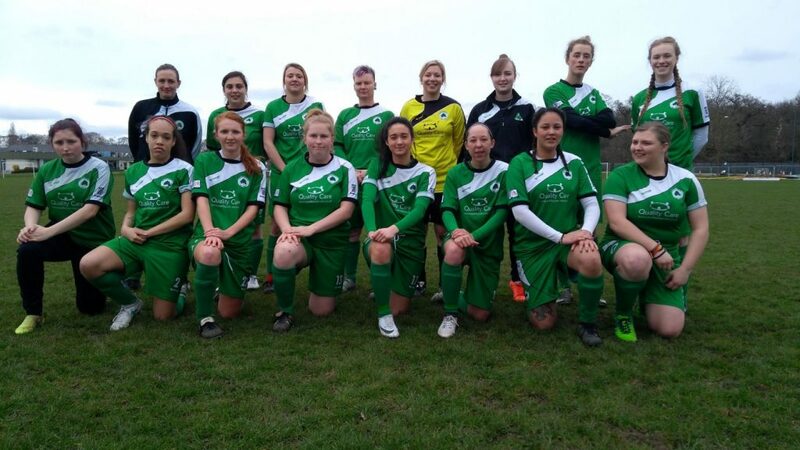 SOUTH EAST COUNTIES PREMIER – Kent Football United clinched top spot with two games to spare, Rachel Stevens and Elizabeth Waldie scoring in the 2-0 win over Worthing that lifted them above Meridian. Crawley Wasps Reserves are up to to fifth with five different scorers in their 5-2 score against Hassocks. Herne Bay and Ashford could not be separated even in a double-header, as the matches finished 0-0 & 3-3. PREMIER – Hartlepool United kept up their slim title hopes with a 3-0 win against York City and Wallsend BC walloped Wakefield 10-0, substitute Brittany Davison with three. 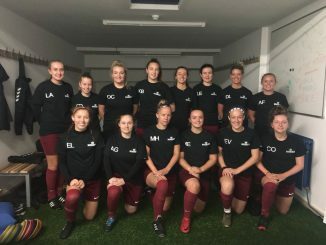 1 NORTH – South Shields are only two points away from being champions with two games to go, after a 3-2 win at Prudhoe Town where Dionne Fleming got a double. Boro Rangers are second after a 3-1 win at York RI but Boldon CA Villa are out of contention having lost at home to a Lauren Robson effort for Blyth Lions. 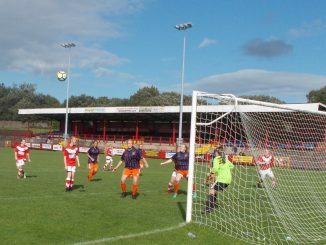 Consett’s Nicole McEvoy nabbed four goals in the 7-0 defeat of Guisborough. 1 SOUTH – Doncaster Belles are off the bottom after a walkover against Malet Lambert. LEAGUE CUP SEMI-FINALS – Durham Cestria’s three first-half goals at Altofts secured their final berth and Norton & Stockton Ancients went through 2-1 against Farsley Celtic. The final is at Willberfoss Sports & Social Club in York on 13 May. PREMIER – Burnley took over at the top with the 2-1 midweek result against Merseyrail Bootle to end Tranmere Rovers’ slim hopes but Stockport County stayed in the hunt with 6-0 & 7-0 scorelines over CMB after the 5-0 Wednesday win at home to Fleetwood Town Wrens. Wigan Athletic beat Sir Tom Finney 3-0 & 6-0 but are all but out of the running, while Manchester Stingers put four past Merseyrail. 1 NORTH – Just five points separate the top four who all still can clinch first place, setting up a very tense finish. Cammell Laird were in pole position after they beat Morecambe Reserves 2-1 in midweek and a brace by Carlisle United’s Kerri Mallinson sent Penrith to their first defeat. Penrith then regained the leadership with a 1-0 win at Cammell Laird, fourth-placed Carlisle United and third-in-the-table Bury exchanged victories, while Burscough Dynamo beat Workington Reds in a nine-goal thriller. 1 SOUTH – FC United are promoted with two games still to go, after their 10-0 crushing of Crewe Alexandra DS (including a four-goal haul for Kirsty Chambers) moved them out of reach of second-placed West Didsbury & Chorlton. Warrington Wolverines won 5-0 at City of Liverpool, Altrincham beat Stockport County Blues 3-1 to go fifth and Northwich Vixens are up to eighth with a 3-1 victory over Curzon Ashton. PREMIER – Winchester City Flyers went level on points with third-placed New Milton Town with a 5-2 win over Shanklin, Bethany Norman with two of their goals and the first after just 52 seconds. 1 NORTHERN – Third-placed Wargrave were beaten 4-2 by the side immediately beneath them despite a Millie Bilcliff brace, as Wycombe Wanderers went away 4-2 winners with a Tara Woodward hat-trick. 1 SOUTHERN – Southampton WFC Reserves leapfrogged Eastleigh into fourth when defeating them 3-1 away from home. PREMIER – Tenth-placed Downend Flyers damaged Marine Academy Plymouth’s aim of catching leaders Buckland Athletic (whom they visit on Thursday), sending them to only their second defeat with goals from Chloe Morley and Emma Summerill in a 2-1 result. Buckland had beaten Ilminster 3-0 in midweek and the latter then lost 3-0 at home to Middlezoy Rovers. Marika Niekuwal hit a hat-trick as Forest Green Rovers beat AEK Boco 4-2 on Thursday. 1 EASTERN – Team Mendip terminated Almondsbury’s title aim with a 3-1 away win on Wednesday, while leaders Portishead posted a 7 -1 result over Oldland Abbotonians the following night despite it being level at half-time. The task for Swindon Town DS became tougher after a 4-3 home defeat to neighbours Swindon Spitfires, Claire Morton with a couple for the visitors. Mendip sent Frome Town to a 5-0 loss (Ellison Roberts adding three to her midweek brace) and FC Chippenham went one better at St Nicholas Reserves. 1 WESTERN – Bideford are fifth following a 3-1 win at Exeter & Tedburn Rangers, Newquay Celtic sixth after a similar result over Plympton. PREMIER – Stockingford AA Pavilion maintained their title dream by ending that of Crusaders, whom they beat 2-0 on their own turf. Knowle’s 3-0 victory over Kingshurst Sporting Club put them within a point of the side in seventh. Leafield Athletic lifted the Premier Division Cup with the only goal against Bedworth United. 1 NORTH – The Cup final was also decided by a single goal, in favour of Sutton Coldfield Town over Leek Town. In league games, third-placed Goldenhill Wanderers got four goals against Tamworth and Shrewsbury Town won 3-1 at Wyrley to take fourth place from them. 1 SOUTH – Redditch United clinched the divisional cup with a 5-2 score over Coventry Sphinx, Georgia Harris netting her first hat-trick for the club. Top of the table Gornal won 4-2 at Droitwich Spa and Coventry Development went down 6-0 at home to Solihull United.